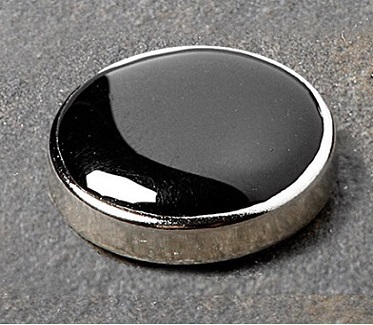 These button covers are a great addition for our Mandarin Collar and Banded Mandarin Collar tuxedo shirts since they do not have a traditional collar. This button cover goes on the top button of these shirts instead of wearing the traditional bow tie or long hand tie. 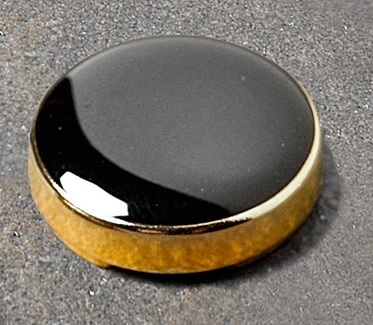 Measuring at about 1/8 of an inch think, the hardware comes in either Gold-tone or Silver-tone with black stones. 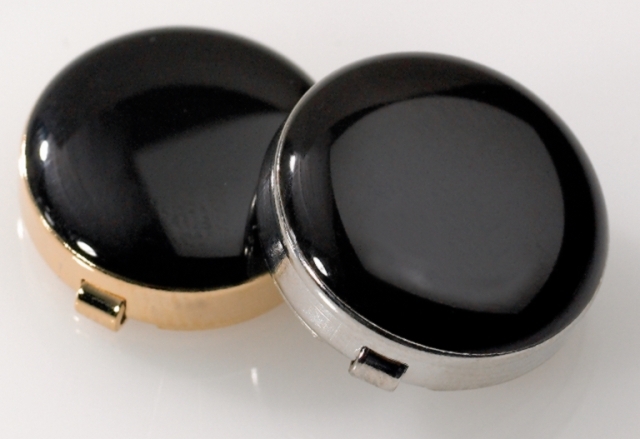 Ladies might like to use these button covers instead of shirt studs since each cover is roughly the size of a Dime.